I never plan to be off my bike for over a week...and when it happens it is usually because central Pennsylvania is in a mid winter deep freeze. But because of the long periods of rain at the end of last week, a trip to visit my Dad and step-mother in Bedford over the weekend, and a busy after school schedule all week it has now been eight days since I last turned the pedals. I couldn't of asked for a more perfect day to get out. Unseasonably high temperatures (in the upper 70s), crystal blue skies, and an absolutely calm wind was more than enough to entice me out after school today. Before I left the house I had in mind that I would stay pretty close to home and just kind of zigzag though the Manchester, Mount Wolf, and York Haven area. Heading out of some of the neighborhoods around my house I took George Street through Manchester. I took a moment to stop at the Bobcat Creamy. This blog IS called All Trails Lead to ICE CREAM after all! The Creamery is absolutely ingenious. The owner recruited students from Northeastern High School's FBLA group. Located on the main street in town, it was designed, built, and managed by local high school students. 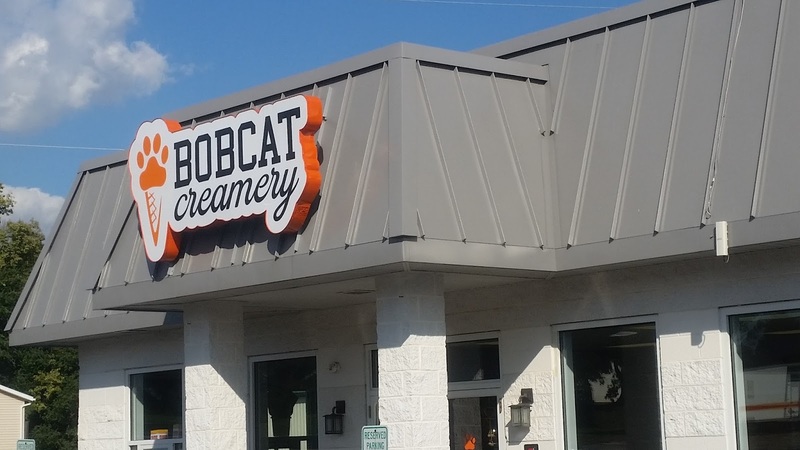 The Bobcat Creamery has become a favorite in the community. And...I can attest...it has absolutely amazing root beer floats. 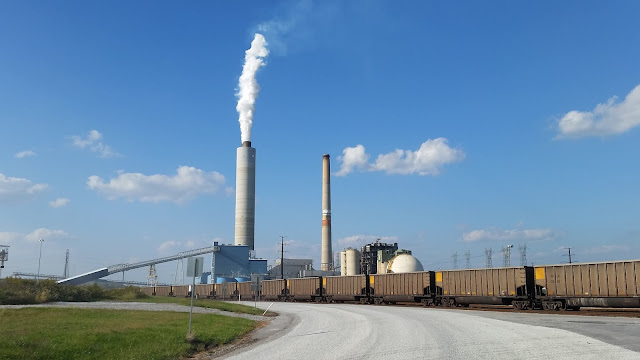 Heading out of Manchester and across the tracks into Mount Wolf I decided to power down Wago Road past Brunner Island power plant. There was no "powering" down anything today. 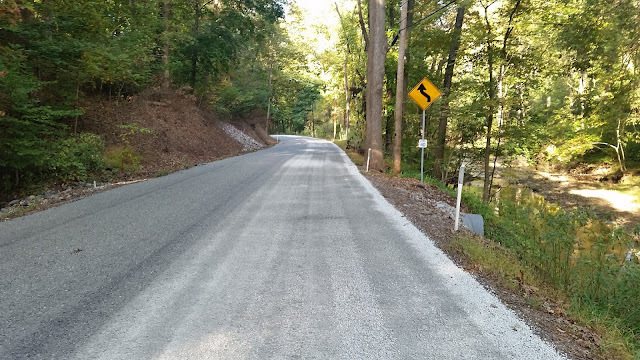 To my frustration (yes, I said "frustration" when talking about a bike ride) Wago Road was just tarred and chipped. Really...it was JUST tarred and chipped. Soft rocks and tar and just miserable conditions for a road bike. I figured it would only be until I got to the power plant. After all, the township just worked on the road by the plant about a year ago. Nope. Stone and tar all the way into York Haven. No worries though. Great weather, crystal blue skies, and calm winds. Life is good. Riding around the town of York Haven I eventually came near the Conewago Creek and past the Conewago Inn. The Conewago Inn is one of my favorite buildings in this part of the world. Not only does it have great food but it has an incredible history. Revolutionary War hero the Marquis de Lafayette passed near the inn in 1825...as did author Charles Dickens in 1841. 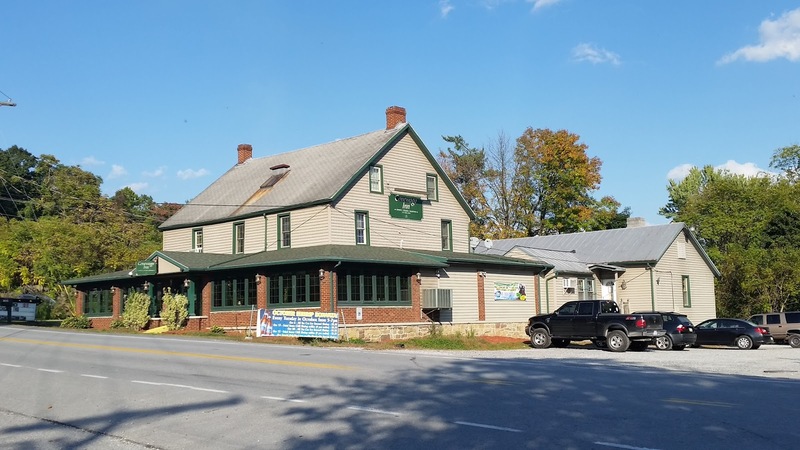 Prior to and during the American Civil War the Conewago Inn served as a station on the Underground Railroad. The basement of the Inn served as a hiding place for African Americans searching for freedom. Riding past the Inn and across the Conewago Creek I decided to take Park Street back into Manchester. My legs felt great coming back up the hill towards my house. It was good to be back out on the bike. Yep...great weather, crystal blue skies, and calm winds...life IS good.